Mumbai: In January 2018, eight persons were arrested in Chandigarh for purchasing expensive mobile phones with fraudulent loans secured using fake Aadhaar cards. The accused, among whom were former bankers and employees of a finance company, had placed their own photographs on others’ Aadhaar cards to secure bank loans, and were booked for cheating, fraud, forgery and criminal conspiracy under the relevant sections of the Indian Penal Code. This is just one among the 73 incidents of misuse of the Unique Identity Authority of India’s (UIDAI) Aadhaar programme that have been reported in the English-language media so far this year (up to 7 May, 2018). This averages nearly four incidents each week, as per a new database created by independent researchers Anmol Somanchi and Vipul Paikra. Of these, 52 cases involved fake or forged Aadhaar numbers–coming up with entirely new Aadhaar enrolment based on fake details, or forging existing cards by replacing certain details like photographs–and 21 involved Aadhaar-related banking frauds. In the six years since the launch of the Aadhaar programme in September 2011, 164 cases of forged or fake Aadhaar numbers and Aadhaar-related banking frauds have been reported in the English-language media, the database noted. These include 123 cases of fake or forged Aadhaar numbers or cards and 41 cases of Aadhaar-related banking fraud. Several attempts to reach out to the UIDAI for comment on the findings of the database met with no response. On 30 April 2018, IndiaSpend reached out to the office of the chief executive officer of UIDAI via email. On 2 May 2018, we reached out again and were told by the communications team that UIDAI would get back to us. On 3 May, 2018, IndiaSpend reached out a third time, telephonically. On 8 May 2018, we sent out a third email. The story will be updated with the Authority’s response when we receive one. As of April 2018, more than 1.2 billion Indians–99.7% of the population–had enrolled under the programme. The Aadhaar database, which the government is keen to integrate with policy, regulation and benefits-transfer programmes, includes fingerprints, iris scans and demographic details of every enrolled individual. From 1 July, 2018, the system will also include facial recognition features for identity authentication. Among cases of fake or forged Aadhaar numbers or cards, 52 of the 123 reported incidents (42 percent) involved forgery of only Aadhaar details, according to the database. In at least 38 cases (31 percent), other documents such as permanent account number–a unique 10-digit alphanumeric identity allotted to taxpayers by the income tax department–driver’s license and voter identity card were also forged or faked, the database showed. In a recent case of forgery reported from Mumbai, 40 bank accounts had been opened using forged documents including Aadhaar, as noted in the Hindustan Times report of 31 March, 2018, that is included in the database. 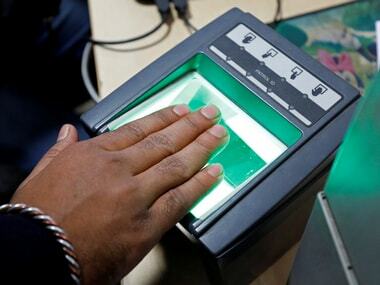 The accused–who had acquired eye and finger scanners to produce fake Aadhaar numbers–would charge Rs 2,000 to make a fake Aadhaar card, Rs 800 to 1,000 for a fake PAN card, Rs 10,000 for a fake driver’s license and Rs 1,000 for a fake voter identity card, the report said. Information on how many documents were forged was unavailable for 33 or 27 percent of cases, the database noted. More than a third (43) of the fake or forged Aadhaar card/number cases involved forgery of multiple Aadhaar numbers, which researcher Somanchi has described in the database as an “Aadhaar racket”. These include five cases where Aadhaar numbers have been counterfeited to misuse the public distribution system (PDS), under which subsidised foodgrain and non-food items are provided to underprivileged citizens across the country. In Bengaluru, for instance, the Karnataka state food and civil supplies department had discovered large-scale use of fake Aadhaar numbers linked to bogus below-poverty-line (BPL) ration cards to siphon off subsidised foodgrain distributed under the state’s Anna Bhagya scheme, according to this Deccan Chronicle report from 13 October, 2016, listed in the database. However, Aadhaar-related hiccups are far fewer than other problems holding up beneficiaries’ access to PDS, the State of Aadhaar Report 2017-18 by philanthropic investment firm Omidyar Network, released on 17 May, 2018, showed. Between September and December 2017, about 2 million PDS beneficiaries in rural Andhra Pradesh, Rajasthan and West Bengal, accounting for 0.8 percent, 2.2 percent or 0.8 percent of all PDS beneficiaries, respectively, were found excluded from the states’ PDS programmes due to Aadhaar-related factors. However, a much larger proportion of beneficiaries, 6.5 percent, were excluded due to non-Aadhaar factors (such as non-availability of ration), the report said. From 2014-15 to 2017-18, Aadhaar’s direct benefit transfer system, as well as digitisation and other initiatives, had enabled the government to detect and delete 27.5 million fake and duplicate ration cards, saving Rs 16,792 crore in the PDS programme, the report added. However, the government did not provide data to back this claim. It also did not clarify how the deletions were counted, if they included genuine beneficiaries caught up in the system’s technical snags, and how Aadhaar specifically contributed to deletion of fakes, the report said. Eliminating identity corruption has been one of the primary aims of the Aadhaar programme, but some experts believe Aadhaar integration has led to no significant gains for welfare programmes, as economist Reetika Khera said in this study published in the Economic & Political Weekly in December 2017. Aadhaar-linking has facilitated over-centralisation of administrative controls, Khera argued in her study. “If a person does not get authenticated, there is no easy or accessible redress available… adding a sense of disempowerment,” she said. Further, privileging Aadhaar over other technologies that had a proven track record at improving administration displaced efforts to scale those up, she said. Aadhaar rackets aside, 19 cases of illegal migrants faking or forging Aadhaar identities to reside in India have also been reported, the database noted. In four cases, Aadhaar numbers were forged to fraudulently obtain bank loans. In two cases, terrorists had procured fake/forged Aadhaar numbers to legitimise their stay in the country. The Aadhaar programme has always been controversial, particularly since the government’s 2016 move to compulsorily link several government services and benefits with Aadhaar, as IndiaSpend reported on 31 March, 2017. The Supreme Court has just finished hearing a bunch of petitions challenging the constitutional validity of Aadhaar–the second-longest oral hearing in the history of the top court–and is likely to announce a verdict in July or August, DNA reported on 11 May, 2018. At one of the hearings, Attorney General KK Venugopal, appearing for the state, argued that the programme would prevent bank fraud, illegal financial transactions, and the misuse of telecommunication networks by terrorists, The Financial Express had reported on 5 April, 2018. However, the apex court observed that Aadhaar could do little to stop banking fraud and questioned the government’s move to demand that the entire population of the country link their mobile phones with Aadhaar “just to catch a few terrorists”, The Financial Express report said. Further, there have been cases where individuals have been unable to use their Aadhaar cards as proof of identity because their biometric data did not match with the records. At a recent court hearing, UIDAI admitted that 6 percent of Aadhaar authentication requests using fingerprints (927,123 transactions) are known to fail, and 8.5 percent (36.9 million transactions) using iris scans, LiveLaw reported on 3 April, 2018. In all, Aadhaar-based biometric authentication for accessing government services have been recorded as failed 12 percent of the time, UIDAI told the court, according to this report in The Quint on 29 March, 2018. It denied, however, that this meant exclusion from or denial of subsidies or benefits, saying the authentication requesting agency is supposed to use alternative means of identification in such cases, the LiveLaw report said. Combined with the findings of the database, UIDAI’s submissions in court suggest neither are Aadhaar biometrics reliable, nor are the cards infallible, Somanchi said.